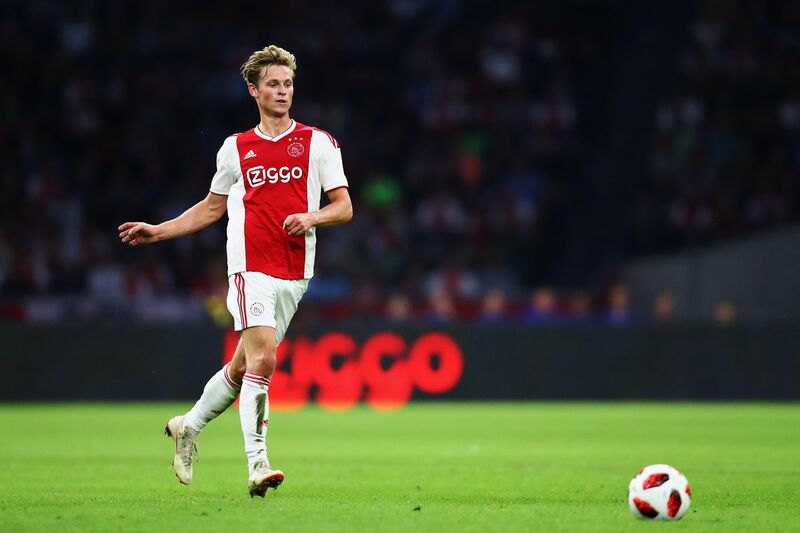 Camp Nou: Football Club Barcelona have beaten PSG, Juventus and Manchester City in the signature of the highly rated Ajax player Frenkie de Jong. De Jong is an AFC Ajax player and a Dutch International. He made his debut for Ajax as a centre-back but was quickly moved into the central defensive midfield position to exploit his passing ability and intelligent movement off the ball. Frenkie de Jong is just 21 year old and has only played 5 International games for the Netherlands so far. This makes the €75M + €11M (add-ons) fee look like a lot of money for a raw talent. But de Jong is an established player at Ajax, coming through in the 2016-17 season. He became a first team regular in the previous season and his International caps have come against the likes of Germany and France in the UEFA Nations League. Barcelona have been pursuing de Jong from as long as 2016. They had made two bids for the starlet last summer, which were shot up by Marc Overmars as they came nowhere near their valuation of the player. Barcelona were forced to up the ante due to the emergence of PSG as a potential suitor for de Jong. In the end, the injury to Marco Verratti was a major setback for PSG’s ambitions to sign de Jong, leading to Barcelona moving quickly to secure his signature. Right now, de Jong will be focusing on the Eredivisie and helping Ajax chase down the impressive PSV. The focus will also be on the Champions League and a depleted Real Madrid looking more vulnerable than ever.